This is going to create one of the biggest free agent scrambles in the recent history of the Monster Energy NASCAR Cup Series. After racing the last five years with Furniture Row Racing, reigning Monster Energy champion Martin Truex Jr. will be racing for someone else in next year as the Denver-based team announced on Tuesday that it will cease operations after the 2018 season. 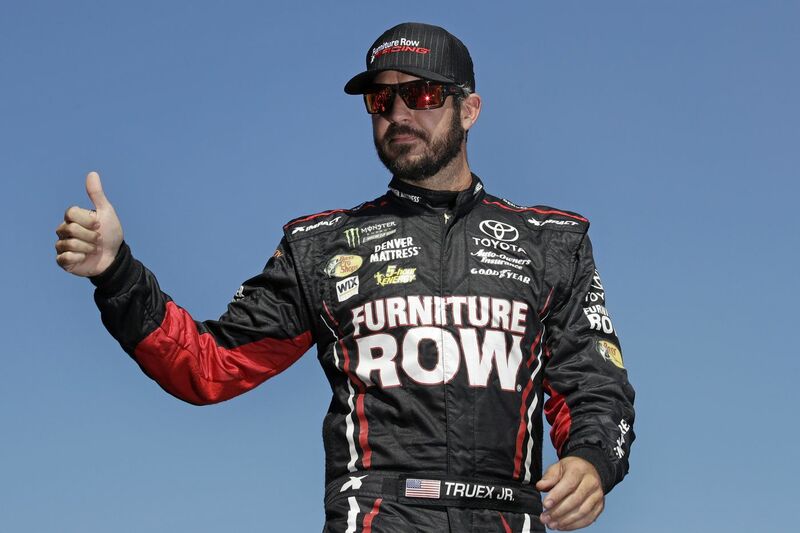 It's a stunning development that Truex, who has four wins and four Busch Pole Awards this year for Furniture Row, finds that he is suddenly without a ride for 2019 just as the Monster Energy regular season ends on Sunday with the Big Machine Vodka 400 at the Brickyard. Truex, who is the first NASCAR Series champion from New Jersey, is currently third in the regular season standings and third in playoff points going into the race at Indianapolis Motor Speedway. Having been in a season-long battle at the top with Kevin Harvick and Kyle Busch, Truex, who is from Mayetta, is one of the favorites to be one of the four drivers left after the nine playoff elimination races who will have a shot to win the Monster Energy crown at the season-ending Ford EcoBoost 400 on Nov. 18 at Homestead-Miami Speedway. "Barney Visser, Joe Garone and the entire Furniture Row Racing team took me in while my career was in a bad place, and together we reached the pinnacle of the sport," said Truex Jr., who was announced as the Furniture Row #78 in November 2013. "I will forever be grateful to each and every one of them, and also to Furniture Row, Denver Mattress and the Visser family." Truex, 38, has won 12 races since the start of the 2017 season and could well hit the market as the two-time reigning Cup Series Champion. His eight wins last season, including at Homestead, were the most in a season since Jimmie Johnson won 10 in 2007. He indicated that he knew something bad might happen with Furniture Row in August at Bristol Motor Speedway. "I'm starting to hear rumors. That's kind of how it works in this sport, I've been in this position before." While it's true that Truex has been without rides after a season ended before, this isn't like when Furniture Row extended him a lifeline to stay on the Monster Energy circuit. Now he is the equivalent of being Aaron Rodgers as an unrestricted free agent. Any driver who does not already have a contract locked in for the 2019 season likely has more to worry about than Truex. It's simple. If a Bryce Harper or Anthony Davis is on the open market it doesn't matter who you already have because you sign him anyway. Next up: The Big Machine Vodka 400 at the Brickyard, 2 p.m.,Sunday, at Indianapolis Motor Speedway. Television: NBCSN, Streaming on NBCSports. 2017 winner: Kyle Busch.